The Bedfordshire Chamber of Commerce reports that 74% of businesses and manufacturers expect growth in the final quarter of 2015. Describing the report as a “timely snapshot of the economic climate for business in Bedfordshire and beyond,” the BCC has found plenty of evidence to suggest that the future is looking bright for the 100s of service and manufacturing SME’s in Bedfordshire that are outperforming the national average. With UK sales and advanced orders remaining steady overall, 49% reporting an increase in sales, and 40% reporting an increase in export orders, Bedfordshire is forging ahead with plans to fuel further growth. “From zero export sales in 2009, Ecotile exports accounted for over 40% of our turnover in 2014/15. It’s the primary reason we’ve doubled in size over the past four years. Of the businesses surveyed by the BCC, which represents the employers of over 25% of the county’s workforce, 72% of them are looking to recruit new staff and 32% planning to increase investment in plant and infrastructure over the next three months. However, finding people with the right skills remains tough. 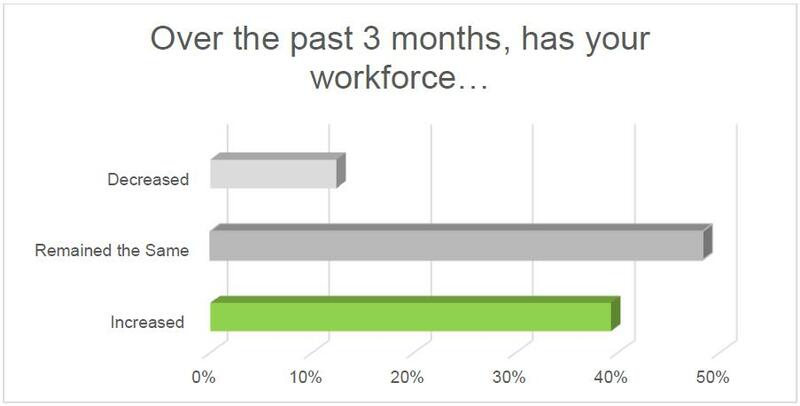 70% of survey respondents are finding it difficult to recruit and retain the right staff and this seems to be one of the biggest inhibitors to growth that the county faces. Some serious concerns still remain. The slowdown in China and unexpectedly weak industrial output in Germany is creating uncertainty. Interest rates and inflation are cited as some of the biggest worries for businesses in the County. However, with business confidence on an upward trend we are all hoping for an improved global outlook in 2016. If Germany can get its industrial programme back on track and China manages to make the soft economic landing it is currently attempting, we see no reason why the optimism reflected across Bedfordshire transmits itself to the wider national and international business community.